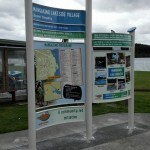 The Mangakino and Whakamaru Heritage trail has been blessed and opened. When Mangakino people talked about their visions for the future during “Wow! E tū Mangakino! Let’s Dream” back in 2011, one of their community aspirations was to celebrate their area’s heritage more. 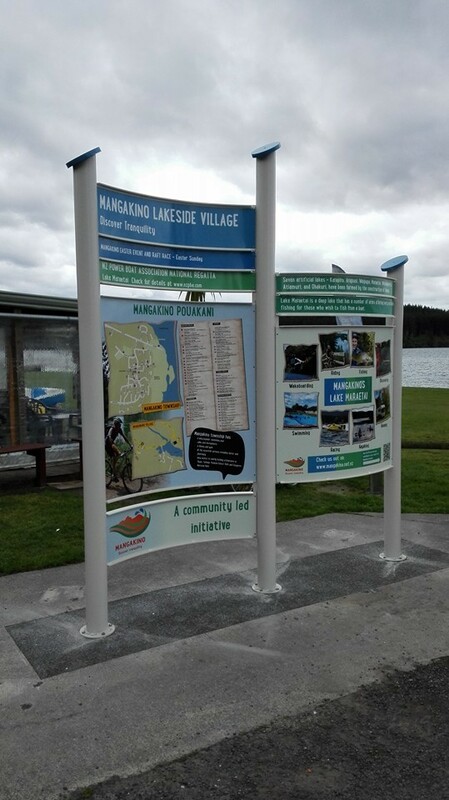 This trail is designed to link with the Waikato River Trails which attracts thousands of visitors PAST Mangakino annually – now the Heritage Trail offers them a side tour through the Townships and many memorable moments! It’s taken a huge amount of research, persistence and patience from many people and especially Lisa, the local community broker. Recently the Mangakino community-led development group organised a community celebration for 70 years since the township was established, and blessed the new Heritage Trail – they invited everyone who had helped, along with residents of today and yesteryear. 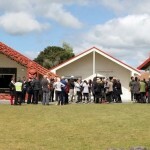 On a beautiful day at Pouakani Marae, locals, past residents and supporters gathered to enjoy and share memories, and to celebrate Mangakino.